The two-month-long riots in which 1,852 people were killed has been a politically divisive issue in Bihar, which houses India’s highest number of Muslims after Uttar Pradesh. 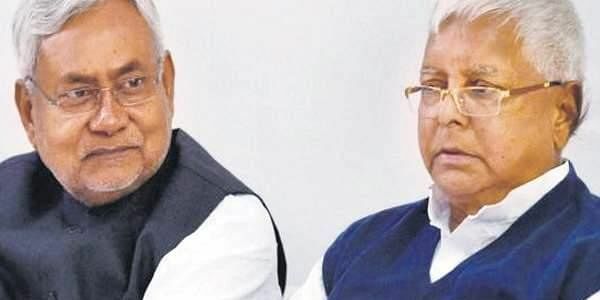 PATNA: Much of Bihar CM Nitish Kumar’s appeal among the state’s Muslims stems from his February 2006 decision, four months after he took office heading a JD (U)-BJP government, to reopen 27 cases related to the 1989 anti-Muslim riots in Bhagalpur. This and other pro-minority initiatives had antagonised sections of the BJP and VHP leadership. The two-month-long riots in which 1,852 people were killed has been a politically divisive issue in Bihar, which houses India’s highest number of Muslims after Uttar Pradesh. BJP, when accused of the post-Godhra riots in Gujarat, targeted RJD and Congress by citing this carnage in the eastern Bihar town. But when Kameshwar Yadav, mastermind of the Bhagalpur riots, was acquitted by Patna High Court last week, hardly any politician spoke on the issue, except the Left. The silence continues because the acquittal was the result of weak investigation and trial due to political compulsions. Yadav allegedly benefited from his proximity to both RJD and BJP and, most importantly, due to JD(U)’s alliance with these parties and Congress. This was the third acquittal for Yadav, 58, who was released from Bhagalpur Jail after 10 years. The case pertains to the murder of 15-year-old Mohammed Qayumuddin, for which the trial court had sentenced Yadav to life imprisonment in 2009. A Vishwa Hindu Parishad (VHP) activist, he was earlier acquitted in two other riot cases. Yadav contested Assembly polls in 1990 from Nathnagar in Bhagalpur on a Hindu Mahasabha ticket and in 1995 from Bhagalpur city as an independent supported by Hindutva organisations. He lost both times. He is now poised to join BJP. “I am constrained to say that there was no genuine effort to unravel the truth and bring the real culprit to book, rather an empty formality was done in the name of further investigation,” wrote Justice Ashwani Kumar Singh in the judgment. Former Rajya Sabha member Shivanand Tiwari, who had accused RJD chief Lalu Prasad Yadav of protecting Yadav and helping him in the cases of looting and slaughtering Muslims during riots, said, “The state government should appeal against it in the Supreme Court.” The government, however, is yet to decide whether to do so.